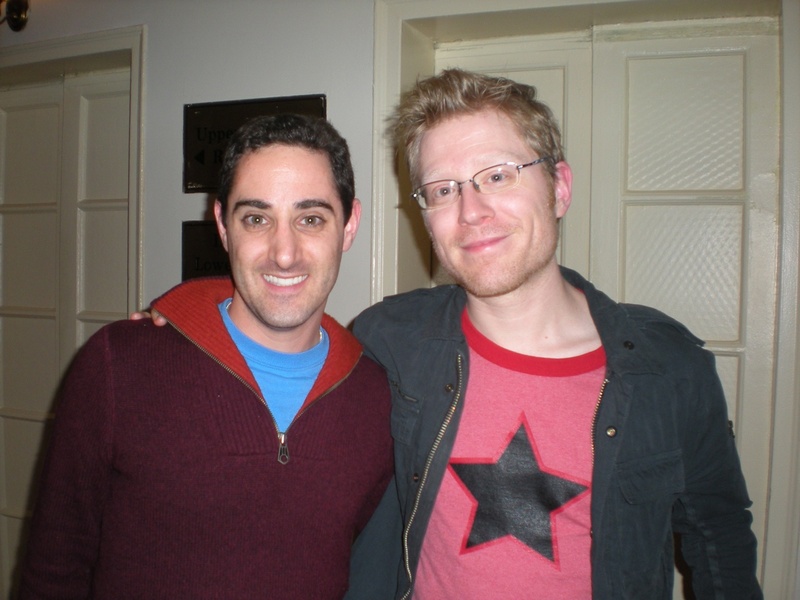 On Monday, January 10, 2011, I also had the distinct pleasure of interviewing Anthony Rapp after his and Adam Pascal’s concert at Town Hall (click here for my review). Personable and gracious, I was honored that Anthony took the time to answer my questions. In 2000, Anthony released his debut album “Look Around” performing in clubs and colleges around the country and in 2006 his memoir “Without You” was released, focusing on his time in “Rent,” the death of Jonathan Larson, and the passing of his mother. “Without You” was most recently turned into a one man show, debuting at City Theatre in Pittsburgh, PA and then featured in NYMF 2010 (click here for my review) and moving onto a production in South Korea. 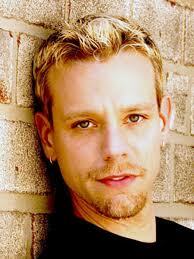 Anthony is currently out on tour with Adam Pascal in “Adam & Anthony Live.” They have one more stop on their US Tour. January 29 at 8pm: The Irvine Barclay Theater in Irvine, CA. 1. Who or what inspired you to become a performer? My earliest memory is watching some tap dancer on TV and I didn’t think to myself, “I want to be a tap dancer,” I just remember being moved/impressed by the life energy force coming from him and his performance. I feel like that was the seed that was planted as to what performing could be about. Then I started doing shows and had very specific people working with me who were very inspirational at the time. 2. Who’s the one person you haven’t worked with that you would like to? I would love to work with the Cohen Brothers or Martin Scorsese. 3. What’s the best advice you’ve ever received? “The only way out is through.” It’s from my friend Cynthia O’Neil who runs “Friends in Deed.” She gave me that advice during a very, very tough time in my life when my mom was sick. I have learned over and over again how to true that advice is. 4. 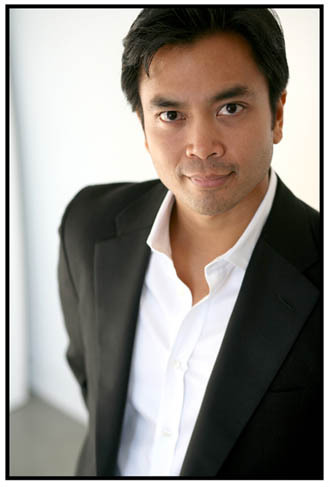 What do you get from performing in a solo show that you don’t get from performing in a Broadway show? There’s a kind of freedom and ownership that is really sweet. There certainly are Broadway shows that I’ve loved, but some of things that have made the biggest impression on me as an audience member are concerts. So, I aspire to communicate/convey/share that kind of thing that has moved me. It’s a very big dream come true doing a concert, like tonight. Being in “Rent” was kind of like both a show and concert at once in a really fantastic way…being able to tell a story, play a character, and act, but kind of also front a rock band. Now I get to do both, separately, but more. “Without You” is kind of like that too, part show part concert. 5. If you couldn’t be doing what you are doing now, what career would you choose? It’s hard to think of something else out of the arts entirely…I teach, direct, write, produce, but if had to be something completely out of the arts, I don’t know that I would want to do this as a career, but I love playing poker and it’s such a crazy career that I would never want to do it as a career, but it is a passionate pursuit. It’s more than a hobby, but less than a job. If I had to choose something, I think I would teach. 6. Favorite way to spend your day off? There are so many different ways I like to spend my day off. Like when we were on tour with “Rent” last year, if we were near some place where I could play poker, I would it. Poker is such a different head space. It’s a totally different way to think and be than performing. If we were in a really amazing place, I would spend the day traveling around or hiking or something in the area that you could only do there. I’m also a big believer in true vacation time and vacating, turning off things and have quiet time and chilling to recharge the batteries. 7. Favorite way to stay in shape? Yoga. 9. Favorite website? One of them is The Daily Dish (Andrew Sullivan’s Blog). He’s a really smart and interesting person full of contradictions. He writes very eloquently about things. I don’t always agree with him, but I find it very provocative. 11. Do you have any strange or unusual talents that nobody knows about? I’m very, very flexible. 12. If you could dream about anyone while you sleep, who would it be? I have dreamt about conversations with my mom who’s been gone for 14 years now and that’s always been nice. Whenever I wake from those dreams, they feel so vivid. You know, a night like tonight, I think she would really be proud, even though she might not have liked all the songs. On Monday, January 10, 2011 I got to attend the opening night of Adam Pascal & Anthony Rapp’s tour “Adam and Anthony Live” at Town Hall in New York City. What a night! Not only did I get to attend the show, but I was lucky enough to attend the post-show reception where I had the opportunity to interview both Adam & Anthony. Their interviews will be posting soon, so stay tuned! Adam and Anthony performed solo sets as well a joint one, playing a mixture of Broadway, pop, rock, and original tunes. The energy and excitement they each gave on stage ran right through the already electrified audience to make the evening really shine! Adam and Anthony each have their own individual sound, but when they come together, their sound is golden. Their voices mesh so perfectly together. With great banter of personal stories, Adam and Anthony also know how to entertain the audience in between songs. If you never had the opportunity to see Adam and Anthony together in the Tony Award Winning Broadway show “Rent,” then this evening together is a sure fire must and if you did get to see them together, then this evening will bring back so many fond memories as well as a bunch of new ones. 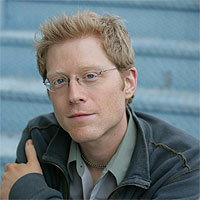 On Thursday, September 30, not only did I see Anthony Rapp’s “Without You” at NYMF, but I was engulfed in it! 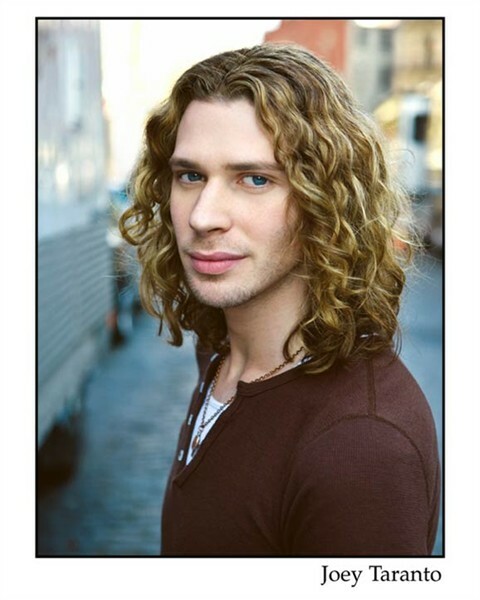 Based upon his New York Times best-selling memoir, Anthony recounts his journey in “Rent” (including the passing of Jonathan Larson) to his first boyfriend to the passing of his mother. With openness, honesty and most of all heart, Anthony has a very engaging way of telling a story. Interweaving songs from “Rent,” REM, and original music, this is one journey I enjoyed taking and would take again! If you are able to score a ticket, it’s so worth it! “Without You” plays at the TBG (312 West 36th Street, 3rd Floor) through October 9.